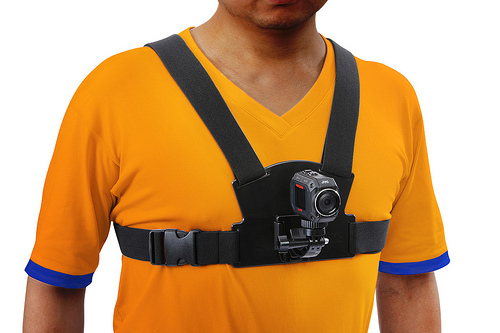 GoPro is not the only game in town. 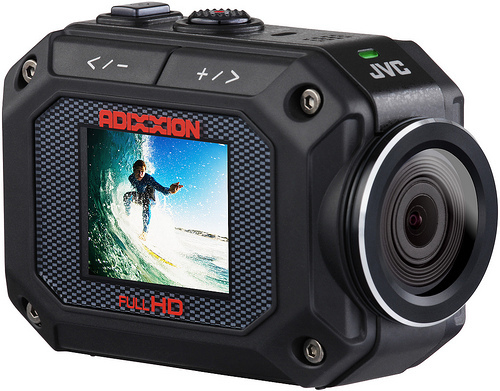 JVC this week unveiled an action camera update to its ADIXXION unit. The water-, dust-, shock- and freeze-proof design has a built-in LCD and WiFi connectivity. 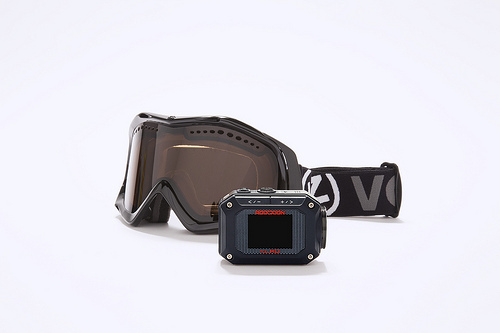 Unlike GoPro, the JVC doesn’t require a housing — waterproof to 5 meters, it’s made rugged enough for most surf vids, whitewater and nasty weather videography. It will cost $299.95 when released later this month. It has higher-quality capture (at 1920×1080 at 60p/50p) as well as 1280 × 720 high-speed recording at 120 fps (to allow for 4x slow-motion playback) than the first edition of the camera. A wider-angle optical lens, improved image stabilization, higher-resolution LCD monitor, and higher audio bit rate and better noise reduction are touted upgrades. The Wi-Fi lets you stream live to a smartphone or load to YouTube. A free app allows footage to be viewed on a smartphone screen. 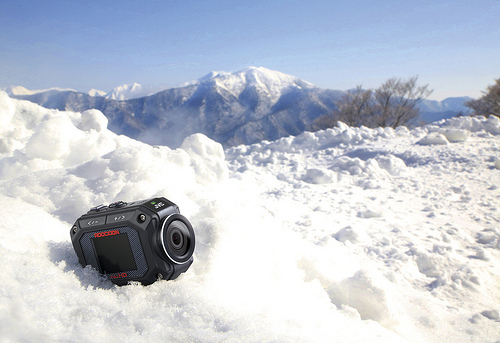 As a still camera, the GC-XA2 has modes for time-lapse recording, a burst mode that takes stills up to 15 frames per second, and the ability to shoot video and stills at the same time. The camera captures images via an 8 megapixel back-illuminated CMOS sensor. A new lens opens up to an impressive and fast F2.4 with a wide angle of 137 degrees. If the camera lives up to its tech details, this should be one high-powered tool for videographers and weekend warriors alike.